5280 Home Care and Attendant Services, Inc.
Our mission is to promote independence among individuals, while providing safe and quality home care services to clients in their home. 5280 will deliver non-medical home care services as personal care providers (PCP), private pay and private insurance. We offer a unique combination of premier home care and community-based attendant services to the Front Range area. 5280 Home Care and Attendants Services, Inc.
Who knows your needs better than you? With directed care, you choose the type of care you want and determine the schedule that is best for you. We match you with the caregiver that best fits your situation. Any time you need to cancel a shift, add a shift, or change the schedule completely, just give us a call. Again, you make the decisions in your care. Simply contact us, and we will facilitate the change. 5280 is the home care and attendant services of choice in the Front Range area. We believe the foundation of our care lies in the quality of our caregivers. Our investment in a comprehensive caregiver training program means an investment in you. 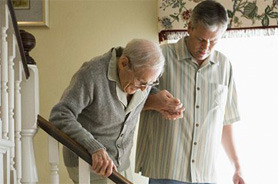 5280 Home Care & Attendant Services offers Skilled & Non-Skilled services. 5280 Home Care is Medicaid Certified. 5280 Home Care is here to help you manage your care. Ninety-one percent of pre-retirees age 50 to 65 responded that they want to live in their own homes in retirement. Of that group, 49 percent want to stay in their current homes, and 38 percent want to move to new homes. With 5280 home Care and Attendant Services, Inc. you have access to the best caregivers in the metro-area. Together with your primary care physician, a careplan and schedule that works best for you, 5280 will match you with the best caregiver available for your needs.